Arun A Kumar, the kid who left the audience awed with his roller skating performance in Mohanlal-starrer Olympiyan Anthony Adam is all grown up and a bridegroom now. 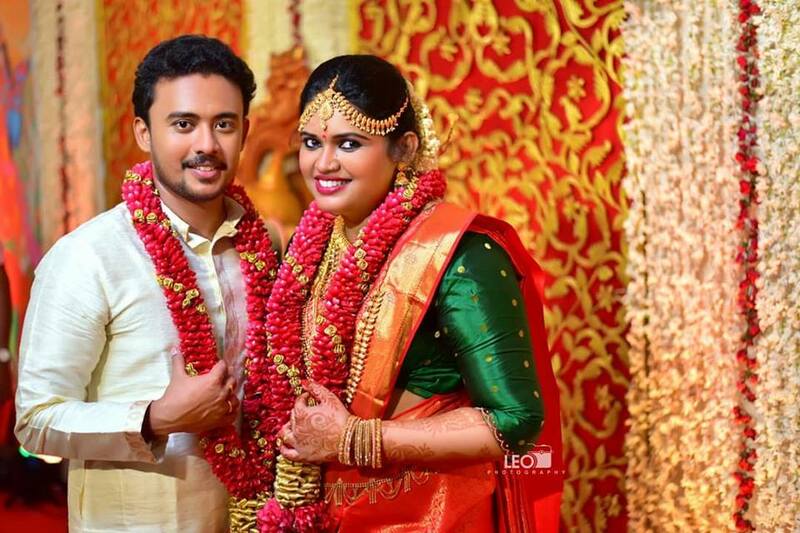 He got married to Doctor Aswathy on Monday in Suryaprabha Convention Center, Mannanthala, Thiruvananthapuram. Arun A Kumar who started as a child artist delivered many good roles in movies like ‘Speed’ and ‘Meeshamadhavan’. The arrogant little schoolboy in the movie Olympiyan Anthony Adam was liked and accepted by the audience at large. Arun was recently seen alongside Gokul Suresh in his debt movie Mudhugau. He will be seen in the forthcoming Omar Lulu film, Oru Adaar Love. The wedding was attended by family members and celebrities including his co-star Manjima.